Belarusian civil society held solidarity actions throughout Minsk in support of Ukraine’s Maidan protests. Europe’s crisis deepened in 2016. Internal and external social, political and economic pressures shook the integrity and threatened the future of the European Union. In the EU and beyond, support for traditional political parties, trade unions, and political institutions declined. The media space became increasingly polluted, fueling polarization and xenophobia. These trends weakened liberal democracy across the region. In Central Europe, political polarization increased and hard-won foundations of democratic governance were threatened by insular, divisive, and reactionary politics and policies. Compounding the region’s specific post-communist and post-conflict challenges were the common problems of corruption and poorly performing state institutions. Across the region, the space for independent media shrank. These difficulties were exploited by Russia, which increased its hard and soft power attempts to destabilize new democracies, reverse transitions, undermine the EU, and divide the U.S. and Europe. The Endowment’s country priorities for the Europe region were those whose transitions are at a critical juncture between progress and backsliding – Ukraine and Moldova – and those whose governments continue to be autocratic, illiberal, or dysfunctional – Belarus, Bosnia and Herzegovina, Macedonia, and Serbia. NED began reengaging with partners in Central and Eastern Europe to defend the democratic consolidation that has taken place since 1989 and counter Russia’s attempts to destabilize the region. The Endowment increased its support for regional programs that address challenges common across the region. Given its importance for the region and the challenges it faces, Ukraine remained the Europe section’s top priority. Government reform efforts were hampered by low administrative capacity and a weak governing coalition. 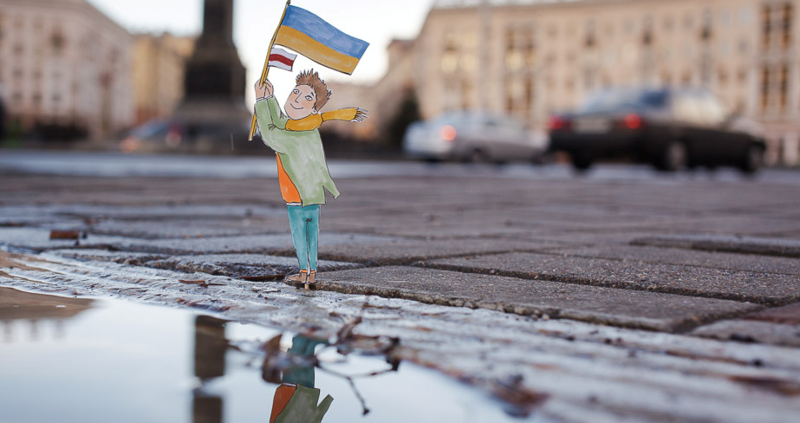 But civil society remained energized, and NED assisted established organizations and post-Maidan civic groups in pushing for real reform. In Belarus, an economic crisis and Kremlin pressure pushed the government into a balancing act between Russia and the West. President Lukashenka sought to lessen the stigma of “Europe’s last dictatorship” by limiting repression, offering Belarus’ capital, Minsk, for the ceasefire talks on Ukraine, and allowing two opposition figures to win seats in the September parliamentary elections. Russia continued to exploit Belarus’ economic dependence and bombard the country with aggressive propaganda. In response, NED assisted independent sources of information providing an objective viewpoint on the country’s political, economic, and international challenges. NED also strengthened the capacity and outreach of civil society groups outside Minsk, and supported organizations monitoring and promoting human rights. Ahead of the elections, NED assisted voter education and mobilization initiatives, as well as monitoring efforts. Bosnia and Herzegovina continued to face governance challenges, and Moldova’s democratic transition remained in doubt. See opposite page to learn more about both. After thousands of citizens took to Macedonia’s streets in 2015 to protest against rampant corruption, an internationally brokered political deal mandated early parliamentary elections. Prior to the elections, NED grantees, such as the Ohrid Institute, promoted a freer and fairer contest while broadening the space for citizen input in political and decision-making processes. NED also supported long-term non-partisan programs strengthening interethnic and cross-party dialogue. Although negotiations with Kosovo moved forward, Serbia continued to backslide on media freedom and the rule of law. To counter growing political and financial pressure in the media sphere, NED continued to support investigative journalism and independent media, such as the award-winning Crime and Corruption Reporting Network (OCCRP). At the same time, NED supported initiatives advancing transitional justice and promoting historical understanding, particularly among youth. Divisive political controversies – including opaque, high-level negotiations with Serbia – impeded Kosovo’s transition, while troubling levels of distrust among ethnic groups limited the political integration of minorities. NED grantees promoted public dialogue on the negotiations; others, such as the Oral History Initiative, advanced minority integration through storytelling and education. Support to watchdog initiatives and independent media remained critical to advancing political accountability and curbing corruption. Although Albania made modest progress in adopting long-awaited legislation on judicial reform and decentralization, allegations of widespread corruption continued to impede critical reforms. In this context, NED grantees worked to promote public oversight at the local and central government levels by strengthening independent investigative media and promoting multipartisan dialogue on issues of transparency and accountability. Grantees such as the Women’s Network for Equality in Decision Making worked with women leaders to improve their presentation and leadership skills.